JAPANESE container line grouping Ocean Network Express is on course to start operations on April 1, 2018 and will become the world’s fifth-largest box carrier — and potentially a more dominant influence within shipping consortium The Alliance — if the current containership orderbook remains unchanged, according to Drewry. The container shipping analyst said carrier consolidation was “moving apace” with the merger of the three Japanese container lines, noting that the opportunities for further mergers and acquisitions among the top-20 carriers “receding with each new deal”. Nevertheless, Drewry said that a second wave involving medium-size carriers would follow soon, creating a market “with fewer carriers that in time will become financially stronger”. When ONE becomes operational, it will be the world’s sixth-largest carrier when measured by containership fleet with close to 1.4m teu, giving it a market share of approximately 7% based on today’s fleet, according to Drewry. Assuming no changes to the orderbook — in terms of new orders or delivery delays — by 2021, it would leapfrog Hapag-Lloyd to become the fifth-largest carrier, the analyst added. Under the terms of the joint venture agreement — covering only the three companies’ containership activities and non-Japanese terminals — NYK will be the largest shareholder with 38%, while MOL and K Line will both have 31%. The distribution reflects NYK’s greater number of owned ships (active and on order) and terminals (10) that it is putting into the JV, Drewry noted. Between them, the ONE carriers have seen annual container sales diminish by around 20% since the 2014 peak of $20bn to $15.7bn in calendar-year 2016. Moreover, since 2015, the three lines had suffered some $1bn in collective operating losses from container operations, Drewry said. The creation of ONE is in keeping with the rising trend of consolidation in the container industry, following on from recent M&A deals involving CMA CGM and APL, Cosco and CSCL, Maersk Line and Hamburg Süd, and Hapag-Lloyd with UASC, Drewry observed. Nevertheless, there is still room for even more consolidation, which would “very likely give even more control to the elite group at the top”, the analyst added. 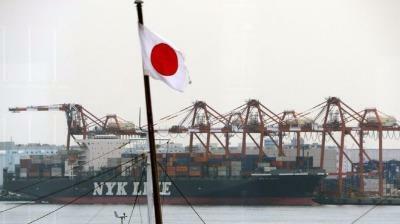 Japanese shipping companies are working with shipbuilders to develop self-piloting cargo ships. The “smart ships” will use artificial intelligence to plot the safest, shortest, most fuel-efficient routes, and could be in service by 2025. The AI will also be used to predict malfunctions and other problems, which could help reduce the number of maritime incidents. The companies plan to build about 250 self-navigating ships. Developing the technology is expected to cost tens of billions of yen (hundreds of millions of dollars). Shipping firms Mitsui OSK Lines and Nippon Yusen are working with shipbuilders including Japan Marine United to share both costs and expertise, according to the Nikkei Asian Review. Nippon Yusen has already been working on technology to enable ships to use data to assess collision risks. It is also working with Norwegian maritime company DNV GL to collect and analyse data on vessel condition and performance. Japan Marine has been developing a similar data analysis system with the aim of diagnosing breakdowns before they happen. The first ships will retain a small crew to oversee certain operations, but there are plans to develop completely autonomous vessels in the future. In 2016, Rolls-Royce announced plans to develop unmanned cargo ships, starting with remote-controlled vessels that could be operational as soon as 2020. “This is happening. It’s not if, it’s when,” Rolls-Royce vice president of marine innovation Oskar Levander said at the time. Navigation and basic operations will be automated, while a human “captain” based on shore will continue to look after “critical decision-making”.